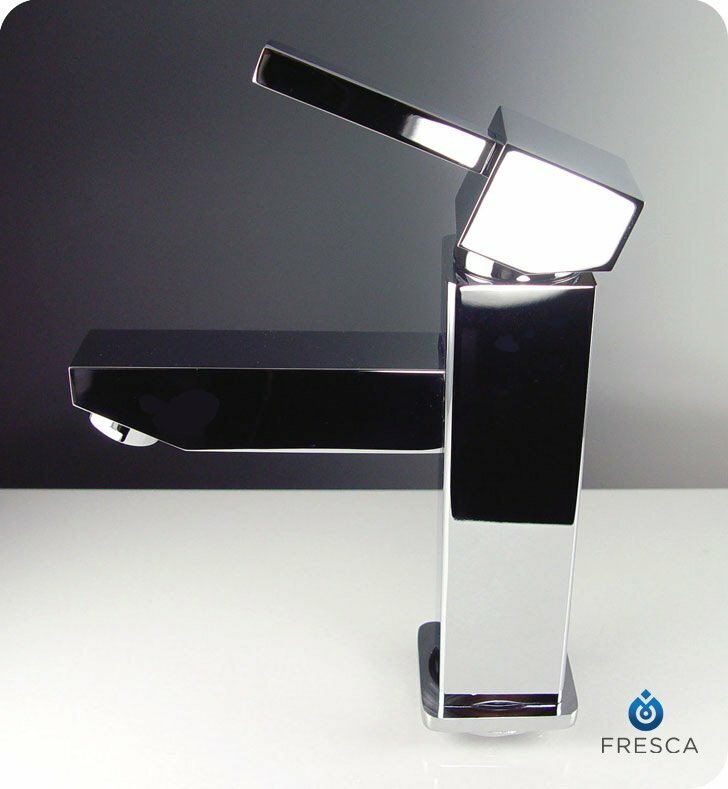 Clean, modern lines combine with quality construction in the FFT1030CH Fresca Bevera Bathroom Vanity Faucet in chrome. Crafted of 100 percent solid brass to resist water damage, this single-hole vanity faucet features a triple chrome finish that resists rust and spots and a ceramic disc valve for watertight efficiency. It measures W 1 5/8" x D 6" x H 6 3/4" with a 4 3/8" spout reach, and the angled design and contemporary style enhance the decor of any powder room. Dimensions: W 1 5/8" x D 6" x H 6 3/4"
this product was well designed and seems to be very durable. I would have given this 5 stars, but we haven't actually installed it yet, so I can't verify the quality just yet. But it looks great! 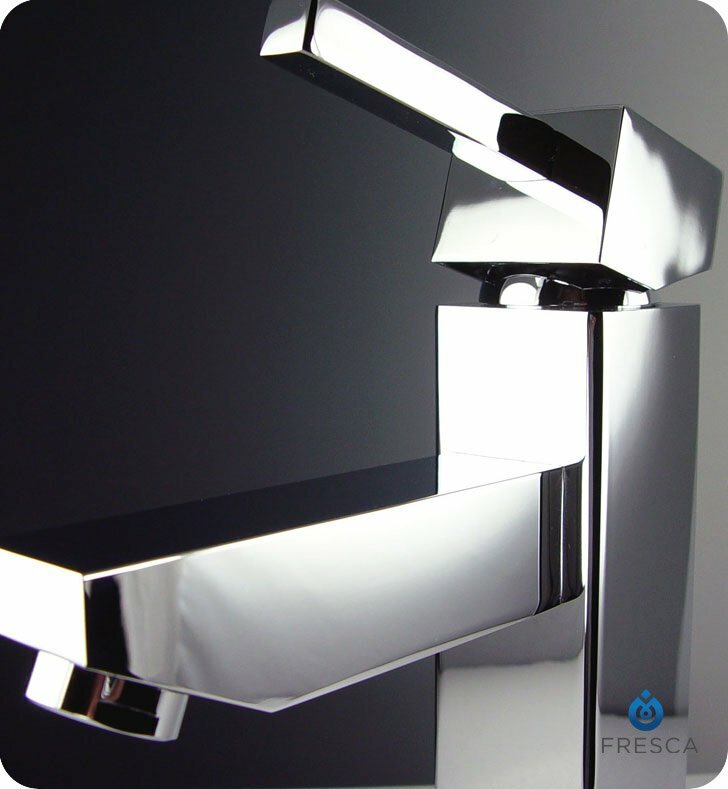 faucet looks and feels very expensive, great finish to it. One flaw it has no water pressure control, each time I turn it on water splashes all over the place. But its something I can live with, just need to get use to opening it. Bought this as part of a package with Fresca Amato vanity. This thing is beautiful and deceptively heavy. Solid construction. 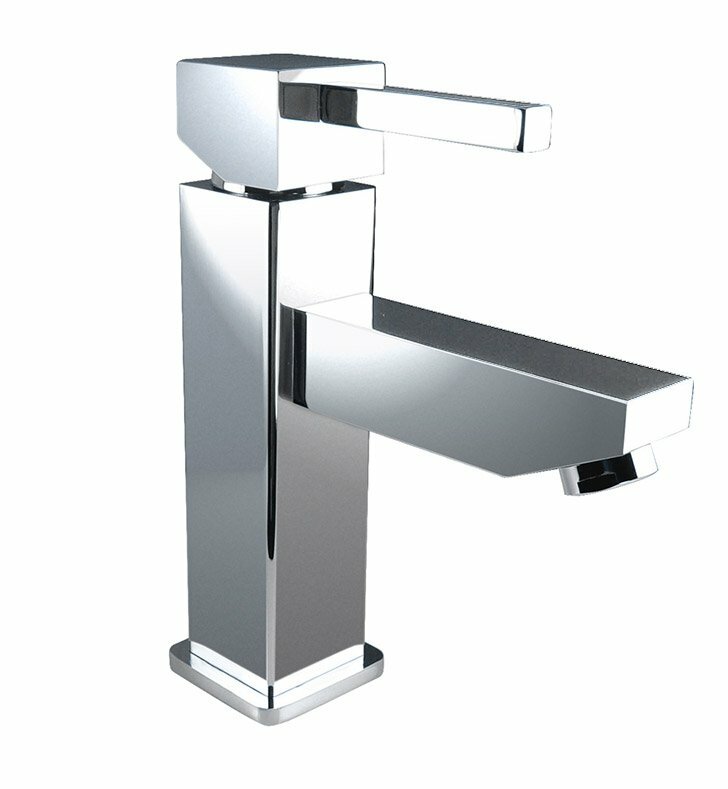 It was recommended that I purchase the chrome version of this faucet to make it easier to find matching pieces for tub/shower. Turns out they were right. Not too many companies make square modern fixtures like this much less in other finishes.